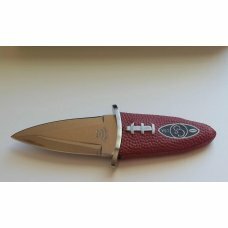 Item # 1070 : CANAL STREET CUTLERY CO."CARRY THE FOOTBALL"FIXED BLADE W/ SHEATH - PIGSKIN LEATHER HANDLE-UNIQUE!!! 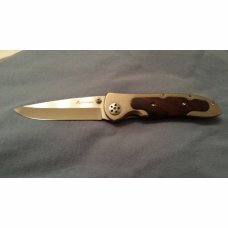 Attention Collectors: Canal Street Cutlery is going out of business,,,I believe they ceased operation on 11-13-15,,,these great quality knives we have enjoyed since 2006 are No More" It is such a shame that an All American company like this is another in a Long line of American outfits a victim of cheap imports...I feel 100% that Canal Street knives will be a great collector bet for future investments !!! 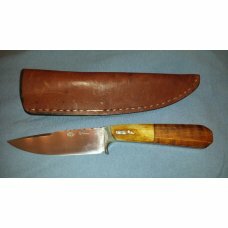 Here is a really Unique fixed blade knife from the folk's at Canal Street Cutlery Co.
Canal Street Cutlery is located in Ellenvile N.Y. ...when they started up they promised the customer would get true custom knives, with over 300 yrs expirence from their cutlers...hard to argue when you hold this to cool little knife in your hand !!! 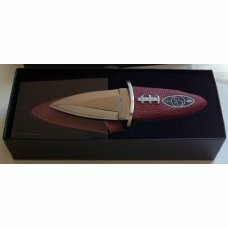 This knife will just tickle the football nut plum up !!! 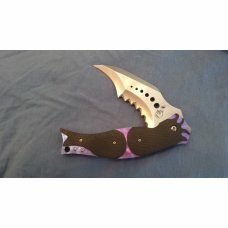 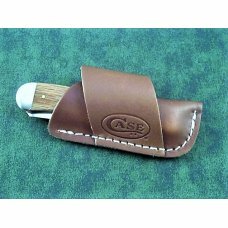 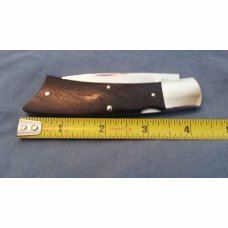 Please supersize pics on the next page for a close-up look at this really cool and unique knife / sheath Combo !!! 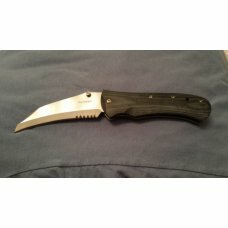 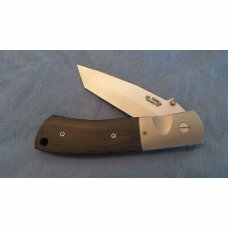 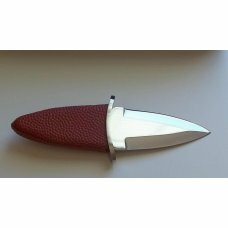 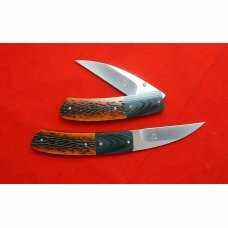 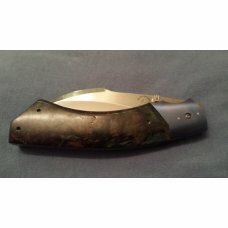 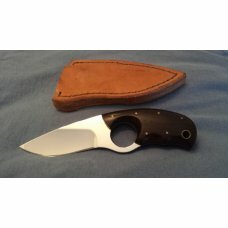 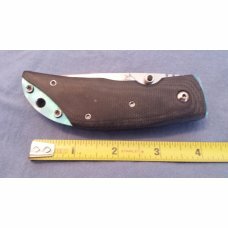 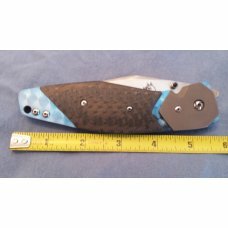 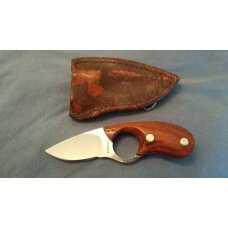 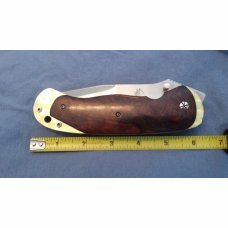 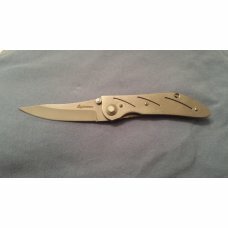 If this item is purchased with another item from Clear Creek Knives that has a shipping cost of $7.95 or more, standard shipping to US addresses for this item will be discounted to $0.00.